84 (Coventry Airport) Squadron Air Training Corps: Going for Gold! 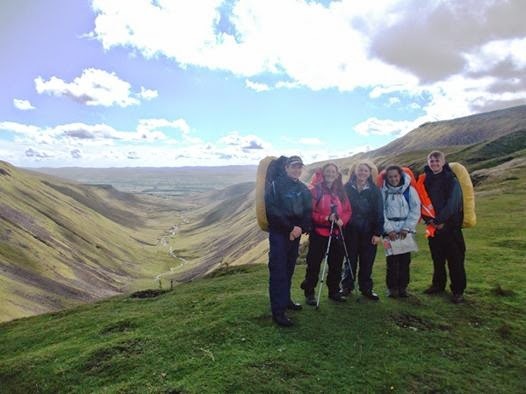 A HUGE Congratulations to the group of 84 Squadron cadets who have completed their practice Duke of Edinburgh's Gold Award Expedition in Yorkshire Dales and Qualifying Expedition in Durham Dales, all within the space of 3 weeks! The expeditions were very challenging, not only with navigation in remote areas and hard terrain, but also with the challenging weather, extreme heat, low visibility, driving rain and fighting off midges. They have done the Squadron, their instructors and themselves proud and are the first group in 84 Squadron's recent history to complete an expedition to Gold standard!! They are an inspiration to others on Squadron, showing what determination and focus can achieve!